Leading global developer Emaar Properties has been ranked as the world's largest property company outside China with a brand value of over $2.7 billion, thus making it the first choice for international investors seeking high-value returns. According to Brand Finance, a leading brand valuation and strategy consultancy, Emaar is also among the top 10 brands in the Middle East. 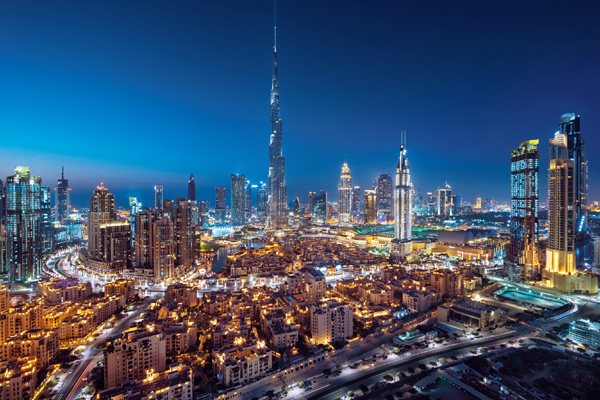 The ranking underpins Emaar's appeal among high net worth global investors seeking real estate investment opportunities in Dubai, with Emaar already serving more than 200 nationalities as its valued customers. It is also the only company outside China in the top 10 most valuable real estate brands, with its brand value increasing by 39 per cent in the past year, it stated. Emaar's global investors come from China, Singapore and Southeast Asia, South Asia, Japan, the UK and rest of Europe, the US, Egypt and from across the wider Middle East and North Africa, making it the most diverse compared to developers in China or any other part of the world. On the top ranking, Chairman Mohamed Alabbar said: "The ranking highlights our credentials in delivering world-class property for discerning international customers. Dubai is among one of the most desirable destinations for real estate investments, and Emaar meets the aspirations of investors who are seeking strong long-term returns." Emaar has a proven track-record in delivering premium destinations and has handed over 47,900 residences in Dubai and international markets since 2002. In Dubai, it has delivered 34,800 homes to investors from across the world. With over 10 mega-developments in its portfolio, Emaar offers attractive opportunities for global investors with residential launches in Dubai Creek Harbour, featuring the new icon, Dubai Creek Tower, and Dubai Square, the retail metropolis of the future. Another high-value investment opportunity is in Downtown Dubai, home to the iconic Burj Khalifa, The Dubai Mall, The Dubai Fountain and Dubai Opera. Investors can be part of Dubai Hills Estate, one of the largest master-planned communities in Dubai, as well as Emaar Beachfront, a private gated island destination.